What's needed is less talk, more critical thinking and a street sweeper. Welcome back! I've just done the same, just not after 20 years. You should walk around San Francisco city hall, the whole area reeks of urine. I was utterly amazed with the level of tolerance those who work there must possess. There is NOTHING, NOTHING that guarantees someone has a "right" to live wherever they want if they cannot afford it. There are cheaper cities in the heartland of the country that many of the homeless could be relocated to. I'd fully approve the use of my tax dollars used for the fuel for one way airlifts to Alaska for indigent people, even building them camps they'd have to work to sustain. No property taxes, just manpower for the generators and water wells, gardens and barn-raising. This is what happens when wackadoodle liberal goverment allows bums to take over the city. Land in Alaska is either privately or publically owned. You cannot just send homeless people there. The same is true for other parts of the country. 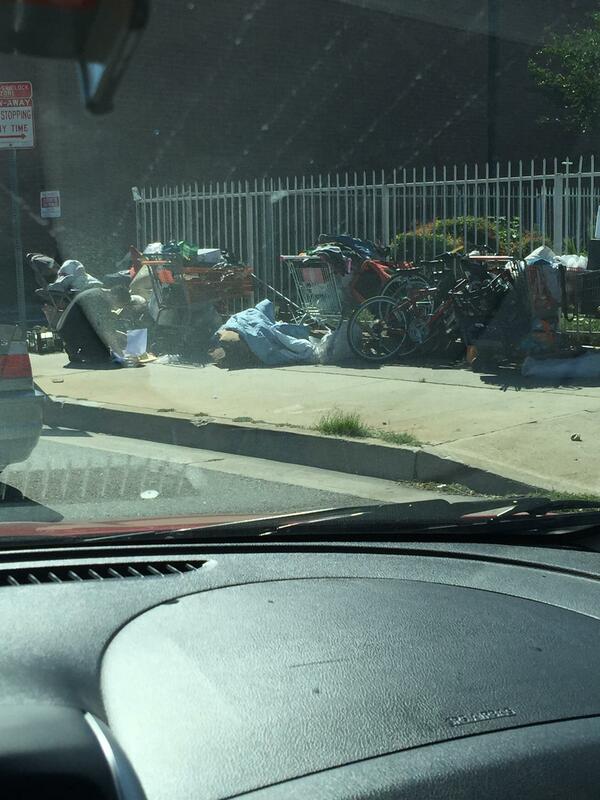 Homeless people in SF and LA cannot AFFORD to live ANYWHERE with NO INCOME. Those that are severely mentally ill may never be able to work, and others will need treatment to be able to function properly (and return to the workforce). Other people end up going homeless due to economic issues. Lastly why do you think people in the heartland would allow California to dump it's problems on them? Why do you think Alaska would? Or and homeless people are going to be able to grow enough food to sustain themselves in frozen Alaska? What are you smoking? Alaska for obvious weather related reasons is not prime agricultural land. Where you do have prime agricultural land it is privately owned and farmed. California is one of the leading producers of food worldwide and definitely the top producer in the United States. New York these days is the homeless capital of the nation, and the homeless population is still growing. Agreed that it will take mass protests. Some of that is already happening (see the rise of Bernie Sanders). There should be some emergency action (order) to "rid" the problem...not clog the courts....want something NOT to get, get a court order....there will be motion after endless motion...nothing will happen. Someone mentions the homeless in NY, well NY and many other more northern cities have something LA does not have...bad weather and thus provides homeless "shelters" due to this. LA should very much be concerned, I would think that this would affect the travel/tourist industry....as word passes along. Saw this today...does anyone think this is acceptable?. This is not a rare sight in L.A these days. Does anyone in this group want to volunteer to "catalog" this stuff? Or do you think the homeless are actually going to 'catalog' this stuff? Moreover, stolen shopping carts (and who knows what else is likely stolen) is not even "their" stuff. Yeah but it's OK to steal if you are " homeless" I guess . Also to drink in public and a bunch of other things . Because " well what can we do .. They have rights "
More rights than non homeless it looks like in LA these days.